Crap! When does the next season start? The Orphan Black season finale left me wanting more. Some reveals I expected, some caught me by surprise. Of course spoilers ahead. Let's start with Alison. Of course the nosy neighbor Aynesley isn't her watcher. That was too obvious. Alison's passive aggressively letting Aynesley die like that was unexpected. To the surprise of pretty much no one, the mystery woman turned out to be another clone. But much like black men on The Walking Dead, adding one means losing someone else. My favorite bleach blonde crazy killer died after killing the woman who gave birth to her (and carried a vital clue but more on that in a bit). I was completely fooled by Helena and didn't realize it was her until that line about babies right before she stabbed Amelia. I wasn't expecting Helena's death so in her honor I'll post a couple of songs from her playlist. They kind of cover the spectrum of Helena's tastes like the other playlists. They really fooled me with the Mrs. S reveal. I was lulled into a false sense of trust and they ripped it away from me when I saw that photo. It looks like she ran off with Kira. UPDATE: After thinking it over on my morning run, I'm thinking that Mrs. S (can we just call her Siobhan) went rogue from the organization back in England. It explains the sudden flight to Canada and why the organization didn't know about Sarah and Kira. Meanwhile Cosima (who now seems to have the same ailment the German had) cracks the code and realizes the clones are all property. And by extension so is Kira. 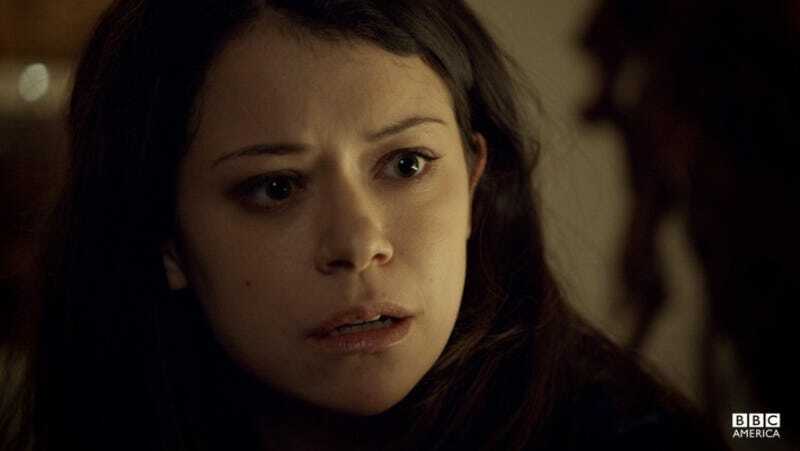 Tatiana Maslany was nominated for a Critics' Choice Award for Best Actress in a Drama. Hopefully it's the first of many.